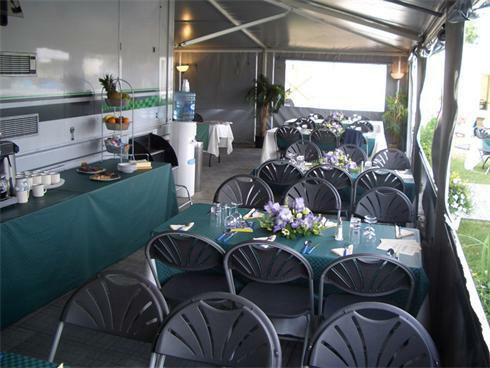 The Event Team has a large hospitality truck that can seat up to 170 guests at one time. 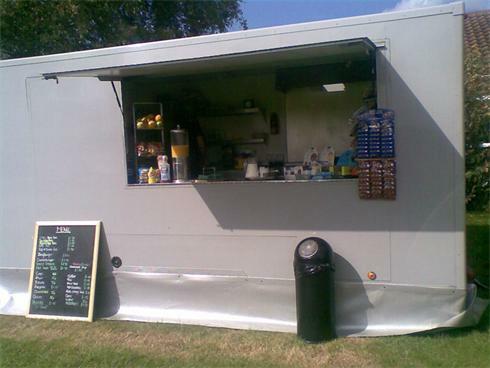 The truck has three awnings and can be erected in different sizes. 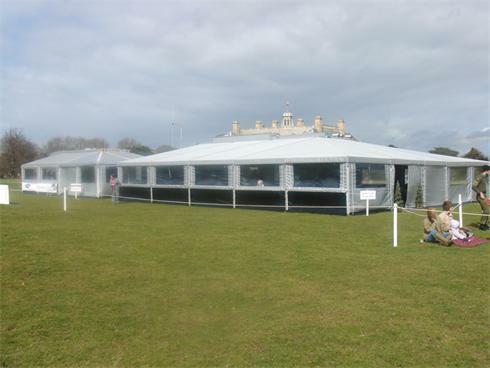 The awning is made by The Awning Company based at Bolton, in a silver colour with black & dark cobalt grey terrace walls & skirts. The truck has a private lounge area with TV /Video/CD, a large purpose built professional kitchen. It has access from both sides of the truck. The truck can have TV in the awnings. The awning has grey rolatrac flooring. 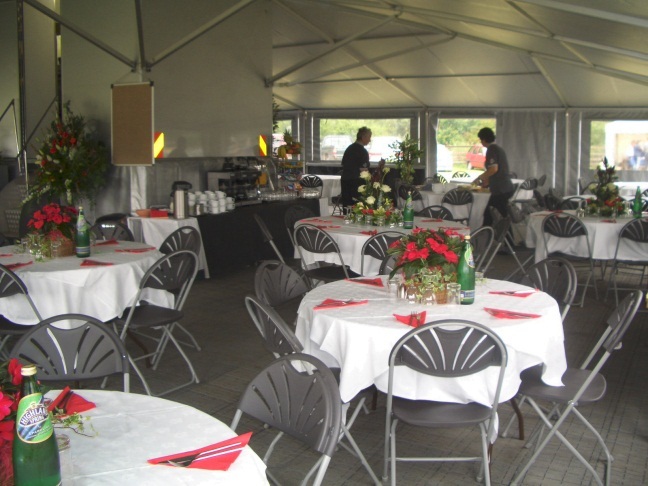 The hospitality truck can be used for motorsport, horse trials, conferences, parties, weddings, film location catering, exhibitions. The Event Team has a smaller hospitality truck that can seat up to 45 guests at one time. 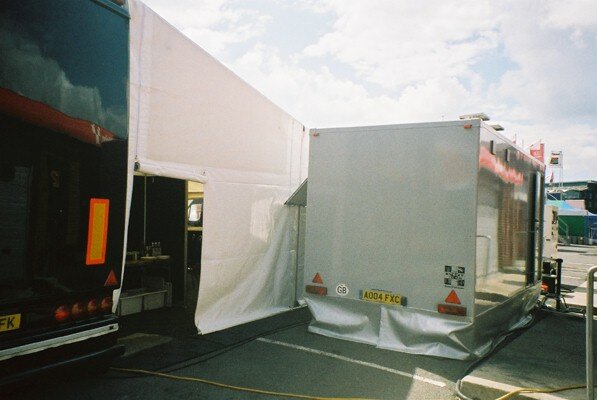 The truck has one awning and can be erected in different sizes. 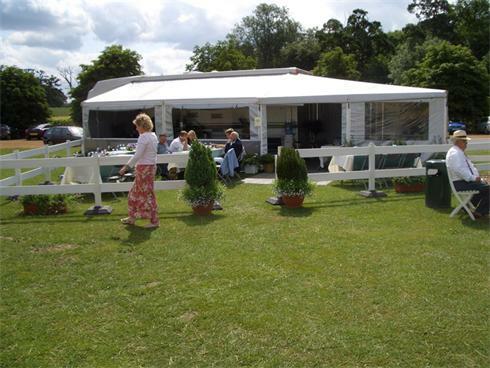 The awning is made by The Awning Company based at Bolton, in a silver colour with black & dark cobalt grey terrace walls & skirts. The awning can come with Rolatrac flooring. 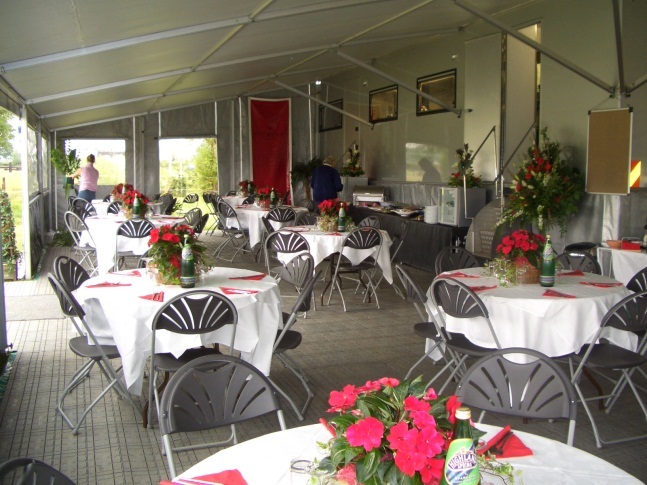 The hospitality truck can be used for motorsport, horse trials, conferences, parties, small weddings, film locations. The kitchen trailer can cater up to 150/200. The trailer is used on film shoots, private parties, and public events. 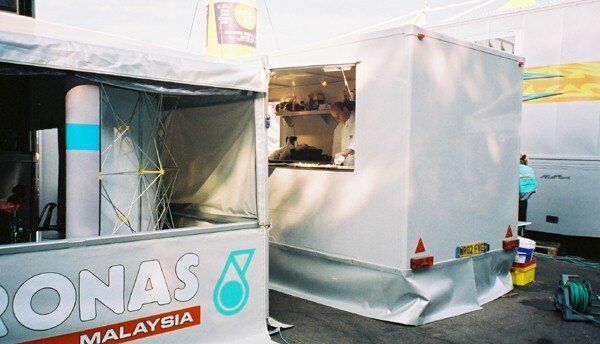 The trailer adds an extra kitchen to the large hospitality truck, race team hospitality trucks, marquees.